How to do Online EPF Transfer through EPFO's Unified Portal? You are here: Home / Fixed Income (Bank FDs,RDs,PF etc) / Online EPF Transfer | How to transfer PF funds to another EPF account Online? Online EPF Transfer | How to transfer PF funds to another EPF account Online? If you are a salaried individual and contributing to EPF scheme then you may be aware of EPFO’s OTCP (Online Transfer Claim Portal). PF subscribers have been using this online portal for submitting online EPF transfer requests (transfer of PF funds from previous EPF account to new EPF account). However, the EPFO has recently launched a new facility for submitting EPF transfer claims online. This new provision has been provided through EPFO’s unified member portal interface. What is EPF transfer? – When you (EPF member / employee) change your company, instead of withdrawing PF amount, you can transfer EPF balance to your new PF account. You can transfer EPF funds either through offline (or) online mode. If you submit EPF transfer claim online, the entire process can get over in just few days. It is simple and easy! You should seed your Bank account & Bank IFSC Code details to your UAN (Universal Account Number). These KYC details should have been verified by your ex-employer. Seeding of Aadhaar is optional for online EPF Transfer Claims. Your Date of Joining (DoJ) and Date of Exit (DoE) with reason for ‘Exit’ in the previous Company should be available on Unified Portal. How to transfer EPF online through Unified Member Portal? Kindly visit Unified Portal (member interface). Login with your credentials (UAN ID & Password). Click on ‘Transfer Request‘ under ‘Online Services’ menu tab. You then need to select and provide the details of your previous EPF account (previous Member-ID). You have the option to submit the online EPF transfer request to your ex-employer or current employer (for attestation). You need to provide previous Member-ID or UAN number in the respective field. In case, your EPF account number format is an old one, you can generate Member-Id (in new format) by clicking on ‘Get MID’ option. In the next step, you need to click on ‘Get OTP’ to authenticate your online EPF transfer claim request. Kindly note that an OTP will be sent on UAN registered mobile number only. Enter the OTP and click on ‘submit’ button. Your employer may then digitally approve your EPF transfer request. Your PF account will be transferred automatically when you change your job…. (w.e.f Sep, 2017) – Chief PF Commissioner, EPFO. (Source – The Times of India.). The Adhaar number should have been seeded with UAN and it should also have been verified. Kindly read – “Detailed procedure on Auto-transfer of EPF account on change of job | How to stop an auto-initiated EPF Transfer Claim?“. How to track EPF claims status online? How to check online if your Company has deposited EPF dues? How to withdraw EPF funds online? While we try to claim PF amount for one of our employee at initial stage Aadhar verified by UIDAI and the Aadhar linked with the UAN account. When we try to claim the amount at the final stage it sent the OTP for claim but showing the following reason “OTP verified but the data available against the UAN in system is not matching with the data available with UIDAI (AADHAAR)”. But we hadn’t make any correction on AAdhar. Kindly help me to find a solution for this issue. Is this Transfer claim or Withdrawal claim? Kindly check if your personal details like name, Date of birth, gender etc are matching between the two EPF accounts..
How to withdraw my two pfs under one UAN. Kyc verified ,aadhar verified, when applying claim form it is taking only one pf account.plz suggest. Did you get the funds transferred from previous EPF account to the latest one?? “failed to verify mid” I got this error when I try it. MID is your Member ID (EPF account no). You may try after sometime. Are you trying for Transfer or claim withdrawal? Kindly check if your previous EPF account is maintained by a PVT Trust of your ex-employer..
the status for my request is Accepted by employer. what are the next steps? You may just wait for few days for the ‘Transfer-in” to happen. Keep tracking your claim status and EPF passbook. Related article : What happens to EPS on Transfer of EPF account (or) when you switch Jobs? I joined new Organization (ANZ Bangalore) in Mar 2017 and they opened another pf number within same UAN, I left the ANZ in May 2018. After that i moved to Toronto, Canada. So as of now balance in my ANZ pf account is 0 and my Kotak pf account has over 3 lacs. My understanding is that pf was not transferred from “Kotak pf account” to “ANZ pf account” when i changed the organization. Although Both are under same UAN. Now that I have withdrawn ANZ pf so i am unable to initiate the transfer from one epf acc to other acc. So my ques is, only option left is to withdraw PF manually through Kotak Mahindra Bank or i can do that online as well. I submitted an online request through”One member one epf account” using option ” Attestation through present Employer” and now claim status shows “Accepted by field office”. I do have a tracking ID there as well. Can you comment on this issue. If your latest EPF account (ANZ) has been settled (final settlement is done) then I am not sure if the funds (Kotak EPF ac) will get transferred to your ANZ EPF ac.. If it does then its a new learning to me as well! In case, if it does not get through, you may kindly contact Kotak team, can submit offline withdrawal request. If your Aadhaar/KYC has been seeded then you can submit claim form to the concerned EPF regional office directly as well. I have recently joined a new organisation in January 2019. My online PF account only reflects my 1st employer history. The 2nd and 3rd employer details aren’t reflected. This is my 4th employer and I’m unable to initiate a Transfer in request. Who should I contact to view my previous employers history? My name appears in the list of employees under the respective Company search option of EPFO. I’m trying to find out from my previous employers. As far as I remember, I had submitted Form 13 to each of them to initiate a Transfer. You can check in your EPF Passbook. You can also request for Annexure – K by submitting a grievance request to the EPFO via this link.. I worked for an employer from 2012 to Aug 2018 lets say A and then joined company B(PF under Trust account) from Sep 2018 (will be resigning this month) and will join Company C in Mar 2019. Currently I can see Two PF accounts under my UAN account and I never raised a request to transfer amount from A to B and I don’t know if its done automatically. So my question is, Since B is trust account I cannot see the balance in PF passbook (1) How can I know my balance In B passbook? and (2) Is there anyway to know if it includes my balance amount from company A? If B doesn’t have A amount included, then once if join C (3) Can i raised a transfer request to move A to C and B to C? you can get this done online thorugh member portal. Kindly go through this link.. Yes, you can do that way also as mentioned at the end of your comment. when i open my UAN account, I would see present employer details where they created new PF account under same UAN number.I could see my previous employer details and current employer details but error is getting like below. Online Transfer claim request cannot be processed as :- Present employer has not made payment in your PF account. In my First employer PF money contributed regular till my Last working day but current employer created PF account and couldn’t deposit payments in PF account(in feature also they don’t deposit payments).Now I am unable withdrawing money from 1st company.If I change to 3rd company can I get money from 1st PF account? it means can I make online PF transfer from 1st pf account to 3rd PF account? any one pls suggest me.kindly help me. May I know why your present employer (2nd) is unable to deposit the EPF contributions?? I recently joined to my new company on 28th Jan 2019 and my last working day in previous company was 25th Jan 2019. Now when i open my UAN account, I would see present employer details where they created new PF account under same UAN number. But I could’t see my previous employer details and transfer option too. Online claim request cannot be processed as :- Present employer has not made payment in your PF account. 1. Will this issue get resolved once my current company start depositing PF amounts to the UAN/PF account? 2. I already submitted partial PF withdrawal from my Previous Company PF account on same UAN. Will this request will process through or not? 2 – If it is partial claim (and if eligible), it will be processed. After few days, you may try transferring the funds from previous EPF ac to current EPF ac. Is your previous EPF ac maintained by the Pvt Trust of your ex-employer? Thanks Sreekanth for the information. Previous EPF was maintained by ex-employer only. For transfer of funds from a Pvt trust to non-trust, you may contact your ex-employer and submit the transfer request..
Now my PF transfer request shows “Accepted by employer”. May I know what is the next state and how many days will it take to complete transfer request. Dear Ramkumar ..It may around 7 to 15 business days (as per my observations..). Keep a track of your claim and Passbook entries. I’ve initiated online transfer (using EPFO website) of PF from my previous organisation (unexempted) to current organisation (exempted) on 18-Jan-2019. Do my previous employer needs to approve the transfer request? They were saying like there isn’t any necessity of approval in online process. Is that true? I believe that they need to approve the transfer claim..kindly follow it up with them..
My current Employer pf account is with Trust. When I applies to transfer/merge (from older to current) these accounts. I believe you need to contact your ex-employer and get the funds transferred through offline mode…. I think Your ex ememployer has Put wrong date of exit in your epf portal .Contact your Ex Employer. Thanks both of you. It was a system validaton glitch, it worked finally. i am also getting the same error.. how it was resolved for you? You can try different browsers after clearing the cache, browser history. It requires PF no. for your current account as mentioned in your payslip. For example for me it was GNGGNxxxxx by default. and for EPF no. I had added GGNxyyyyy. Make sure it is as per the required format. The other possibility is that your ex-employer had entered wrong exit date as mentioned by Puspadhar. I have two PF accounts (same UAN). I am trying to transfer, after selecting “Attestation through Present Emplpyer and Entering UAN, I am not getting any any details upon clicking ” Get Details”. I have the same mobile number updated in Aadhar and UAN portal. Please help me. Kindly check if your previous EPF account is being administered by a PVT trust of your ex-employer.. I got two UAN numbers and old UAN having having two employer which having issue with date mismatch. But, they have not given date of exit for withdrawal. Both the employers are not responding for the above issue and it’s not allowing me to transfer either due to account mismatch error. Kindly guide me for the mentioned issue. Your Employers have to co-operate with you and update the DoJ/DoE details for the respective EPF accounts. Kindly follow it up with them..
Sir my transfer claim is Accepted by employer . what is next stage. Kindly just wait for the transfer to complete. You can check your Passbook (EPF) for the TRANSFER-IN entry. Sir my transfer claim is Accepted by employer. what is next stage.Can i have to submit any Document to my present Employe to continue proses. I believe that there is no need to submit any physical document, kindly keep a track of your Transfer claim request.. I have two pf member ids, I want to transfer my old pf into new one. I chose attestation through present employer, I sent hard copy with signature to present employer. But the previous employer is denying to confirm it. Any specific reason for non-cooperation? You may submit your grievance to the EPFO about this via this link.. Yes you are correct, he is adamant to not giving arrear. Even he say you do whatever you want. As he has company he has lawyers also. Will it be easy or should I forget my arrear amount. That YOU need to decide..
Sir I was working in one company previously he allotted me one UAN number.I left that company and joined another company. Instead of creating new UAN number new company started using same UAN number for my PF amount. Now I want the whole PF amount of previous company. Is there any way to get it? Please suggest me sir. As you are currently employed and contributing to EPF scheme, you can not withdraw full PF. Suggest you to kindly get the funds from your previous EPF ac to current EPF ac (if not yet done). Sir,how many days it takes for advance withdrawal of PF? Online claims can be settled within 15 business days and offline ones within 30 days..
Related article : How to track EPF claim status online? previous company is already shutdown. I do have my old PF no.Request you to guide me to withdraw my PF. If you are employed and currently contributing to EPF Scheme, you can get the funds from your previous EPF ac transferred to the latest EPF ac. If you are unemployed then you can withdraw the funds. Suggest you to contact the EPFO via Inoperative Helpdesk facility. If possible, you can also contact the concerned EPF regional office (where you old EPF ac is administered) and get the funds transferred. This can be due to a temporary Technical issue..kindly try after sometime.. You may also submit your grievance to the EPFO online via this link.. I was working with a chennai based limited company 15 years ago. There was a pf deduction on my salary. How can i claim my pf amount since i dont have any PF number or any salary slip available and moreover the company already been shutdown. I dont have any documents available to claim my pf amount. Please advise whether i am entitled to get back the amount or the case is closed for ever. Do you know/remember which EPF regional office used to take care of your EPF contributions?? Company name was niche risk advisory services pvt ltd.
You may try visiting the office in person, can inquire about the unclaimed PF funds based on your ex-Employer Company name. If they do not respond, can file an RTI..
My UAN No is 10002240xxxx. The last I worked was with Employer B from 11/2015 to 08/2016. Recently, I could apply online for final PF and Pension settlement. The same however did not allow me to choose the Member ID/PF No. It by default was auto-filled with the last i.e. of Employer B. The claim was settled and has now been credited to my bank account too. The updated Passbook now clearly shows the contributions made by both me and the employer, and the balance which now stands as Zero after the claim. Before that I worked with Employer A, from 03/03/2014 to 01/10/2015. The DOE for Employer A has been updated just two days back, wasn’t mentioned before (there was never an issue with the details pertaining to Employer B). The PF Passbook for this clearly shows the contributions made by both me and the employer. • How can I apply separately for Employer A as well, when the form doesn’t allow me to fill or select the member ID/PF No (as I said, it automatically is auto-filled with the last one i.e. of Employer B)?? I cannot register/activate Employer A separately either, as it says this (UAN 10002240xxxx) is already activated. • If the provision of claim is only for the last Member ID/PF No and not any other from before, and I hence need to transfer first all previous balances into the last one before claiming for final settlement, how can I do that when the ‘One Member one PF – Transfer Request’ option is not letting me do it giving me the error message “Online claim request cannot be processed as: – Present employer has not made payment in your PF account”?? You can submit offline claim request for old EPF account (Employer A). Kindly contact them. I am currently not working in India. I was working in India till June 2017. but my PF account is credited with interest on March 2016. and interest is credited after that, could you pls suggest how to fix this? When I generate MID in EPFO site and click on ‘get details’, I am getting below error. ‘Failed to verify MID!!! Please try again later!!!!’. even I entered correct PF account number. Could you please help me how to tackle this? I have Claimed for online EPF transfer from previous to my Present EPF Account. Claimed ID showing that Settled on 02/03/2018 but till now not reflecting on my present EPF Account. I want to how many days need to transfer one pf to another pf account? & what should be the next Step to khow about my preveous pf Current status. Suggest you to kindly go through this article @ What happens to EPS on Transfer of EPF account (or) when you switch Jobs? Tis is rehman.i have previuosly worked in two companies for which my UAN is same but when i logged into my UAN portal it shows two different pf numbers from my previous two companies. I am not in the service with those companies anymore. Is it possible to merge those two pf accounts to withdraw my complete pf amount? UAN number is unique and remains the same throughout your career. However, when you change your job, you get a new Member-ID issued by your employer(s) and it gets linked to your existing UAN. Yes, you can merge the two EPF accounts and can claim the consolidated balance. * How to consolidate multiple EPF Accounts? What is EPFO’s One Employee – One EPF Account initiative? * What happens to EPS on Transfer of EPF account (or) when you switch Jobs? Is it really necessary to send the Form 13 signed copy to the designated employer chosen.I can see above where few ppl have not done that and can see their claim transfer status changed to “Accepted by Employer or so” under epfo portal.Can you please clarify if this is really needed otherwise what is the need of online submission of this process if we still need to send the hard copy signed? I believe that there is no need to submit the hard-copy/physical one..
No previous employment details found against this UAN. Kindly check if your previous EPF ac is maintained by a Pvt trust (by your ex-employer) ?? mine is the same case.what do you mean by Pvt trust. Kindly note that your Organization can be an Exempted establishment or Unexempted one. A company having its own trust for provident fund is exempted from getting it self registered with the Provident Fund Authorities. So, if your employer has their own Trust then your monthly contributions get deposited with the Trust and not with the EPFO. Check in the member portal if it has DOE(Date Of Exit) updated by your previous employer. If not make them update it and try again from the new uan for the transfer. My old epf account details is not showing under online pf account transfer Tab. How can I transfer my old pf into in pf account. Mostly your previous EPF ac is maintained by the Pvt Trust of your ex-employer. Kindly contact them. I want to transfer any PF amount into my new account and I don’t have member I’d how to get that please advise. When I click on get MID I get 3 optios namely enter established I’d 2 enter extensions 3 enter a/c no. Member Id is your EPF account number. You can find it in your Payslips (previous Company’s). Also, you can contact your ex-employer and get the details. You can go through this article about the EPF account number format..
And I have only one employer who has contributed towards my PF till now. Can you please help? I have selected “Attestation through: Previous Employer”. Can you please help me out, what I am missing. Is your current EPF ac (member ID) linked to same UAN. Or do you have been allotted two UANs? Is your Previous EPF a/c maintained by a Pvt trust of your ex-employer?? Thank you Sreekanth for replying. I confirmed the same with my current employer, and there I found PF account from my current employer will reflect after the 2nd month payroll, maybe after that I will be able to transfer my PF. I have initiated PF transfer through online last 14th, and now the status is “Accepted by employer”. Do I need to take the printout of PDF and send it to employer ? After how many days it will be transfered? As per the information received by other blog readers, there is no need to submit physical doc and the process is completely online. However you may kindly recheck this with your employer. I went through a similar phase a couple of weeks ago. I had raised an online transfer request for the PF account to be moved in to one member id, it took about 10 days for the status to be moved from ‘Accepted by the Employer’ to Accepted by the Field Office’. And soon after I could see the transfer entry in my present passbook (roughly in two weeks time). The only thing I am concerned is that my EPS has not been transferred from the old PF account and I seeking some guidance from Sreekanth Reddy on this. Did u sent the signed copy of the printout to your employer? Actually I have selected previous employer. No I did not. No paper work done at all. Everything was done online. And yes, I too selected previous employer to transfer the PF balance in to my present employer created PF account. I had two PF accounts under my UAN. First PF with employer A (served for 5.2 yrs and the Second PF with employer B (served for 1.2yrs). Now I have requested for the Employer A pf account to be merged in to Employer B pf account. As mentioned above the claim status is “Accepted By Employer” and Attestation Through “Previous Employer”. In this case previous employer probably meaning Employer A. 1. How do I be sure that the PF accounts have been merged as per One Member – One PF Account? 2. 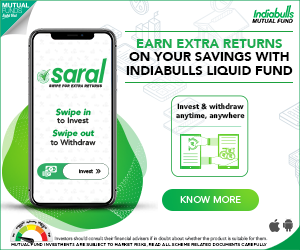 What is the next step for me to withdraw the entire PF amount? 1 – Once the transfer is done, you will see ‘transfer-in’ entry in your EPF passbook. 2 – You can withdraw the funds provided you have been unemployed for minimum 60 days and not contributing to the EPF scheme currently. Related article : How to withdraw EPF online? Thank you for sharing the links. It does have elaborate information pertaining to EPF transfer. The eye opener in the appended link is that a major part of the Employer’s contribution goes towards the EPS. Thank you. Could you please provide some explanation on my earlier asked question No.1? Also, I do not see any changes in both the PF passbooks. They remain the same even after doing the online transfer (Not sure, if my transfer has been processed completely, hence the question no.1). You can submit a grievance to the EPFO online and get Annexure-K from them, which gives details about the Transfer details. Your guidance has helped me indeed. Looks like the Transfer of PF funds in to one account i.e One Member ID has been processed. I see the status as ‘Accepted by the Field Office’ and the passbook shows the transferred PF amount. However the previous EPS still reflects in the older PF account. How do I transfer the EPS in to my present account? Or is there a way to withdraw 100% of the EPS along with the EPF balance? Kindly assist. What happens to EPS on Transfer of EPF account (or) when you switch Jobs? Hi, I am not able to get the old employer details when I enter the Member Id. Is your previous EPF account maintained by a private trust administered by your ex-employer?? Suggest you to kindly contact them..
Hi Sreekanth, I have a similar case as mentioned above. My Ex-employer’s PF is maintained by a Trust. Dear Himanshu ..Kindly contact your ex-employer and submit offline transfer request..
After i sumbit my OTP, i get an error saying Form parameter pampered. What does this mean? What can i do? Dear Kasturi..This can be temporary Tech issue. Can submit your grievance to the EPFO ..click here..
hello sir, i cant request online transfer coz it keeps saying present employer has not made payment but im not working currently. Did your employer update Date of exit? Suggest you to contact your employer. all you concern would be resolve Related to EPF , please raised RTI Request online (https://rtionline.gov.in/) to labaour ministry they will charge 10 rs from request .put all you details what is netter they will resolve it. I have two employers in same UAN Number. In online claim form Establishment ID of old employer does not show, but only current employer shows. How to withdraw fund from old employer ??? Dear Abhishakher..Are you currently employed and contributing to EPF scheme? If yes, you have to transfer funds from previous EPF ac to new EPF ac. You can not withdraw EPF full balance. Hi i want to transfer my old pf account to new PF account but while clicking on online transfer link I am getting following error. Dear Rituraj ..Can be a temporary tech issue. You may try after sometime or check out UMANG app..
– No Auto Initiated Claims Found. Dear Virender ..You may contact the EPFO ..click here..
My previous company was located in vadodara and my current company is located in ahmedabad. So which location EPFO should i contact. Which employer have you selected for transfer approval? Kindly contact them. Also, kindly click here to submit your grievance to epfo.. I am trying For PF Online Transfer as I moved out to a different company. Actually, I have seeded my Adhaar against UAN & but still I am facing this issue ..
Did you share same old UAN with your new employer? Are your details (name, DoB..) matching between old EPF ac and new EPF ac? Is your old EPF ac maintained by a Pvt trust by your ex-employer? I am referring to UAN. Suggest you to contact your ex-employer with regards to transfer of funds. I am trying to transfer PF online. I have entered all required details and clicked on Get Details tab however I am getting ‘Failed to verifyMID!!! Please try again later’ message several times. I have only one UAN and also my previous organization doesn’t have any trust account. They have normal PF account. Kindly help me. Appreciate for the response. I am not sure what could be the issue. You may kindly check with your employer or with EPFO (click here)..
Dear sampath..Suggest you to kindly contact your previous or present employer. I am also getting the same error.Did you get any solution for this error message ? Dear saket ..Kindly contact your employer.. I have my previous EPF account in Bandra, Mumbai. New one is in Ahmedabad. Now when i am trying to make transfer request online, it shows “Invalid present member ID” and when i am trying with UAN id it shows “No previous employment details found against this UAN”. Dear kauntay ..Is the previous EPF ac maintained by a Pvt trust of your ex-employer? no. previous account is from EPFO only. Also, check if your previous employer has provided DoE and Date of Joining details. Make sure, your personal details (name,DoB etc) of previous EPF ac match with that of your UAN. You may try submitting offline transfer request also through your ex-employer..
For transfer of funds from Pvt trust to your latest EPF account, suggest you to kindly contact your ex-employer and submit the transfer claim request. I have two UAN numbers on which KYC is completed & now ready to transfer the pf online. I am gettig msg as ” Failed to verify UAN!!! Please try again later!!! !” After entering the UAN No. . I am getting msg as ” Failed to verifyMID!!! Please try again later!!! !” I am getting this msg since last 4 days. My prevoius epf is under private trust. As your previous EPF ac is maintained by a Pvt trust, suggest you to contact your ex-employer and get the transfer done through offline mode. Hello, i require a help regarding my Aadhar. i have linked my new number with Aadhar. My old number was registered with my Epf portal.number is changed , but when i am trying for online claim it is showing the old number only. so would like to know that do i have to contact with epfo customer care or Aadhar customer care. New number? Is it UAN or EPF number or mobile number? If it is mobile number, you can update it by login to your UAN account. When we do online claim, the otp goes to mobile number which is updated with Aadhar. I have updated my number with Aadhar so why is it still showing the old number. I had submitted my documents in 2015 and amount was not credited into my salary account and it got inactive which am unaware. While checking my PF balance through registered number it used to show settled. Someone suggested me on checking in a website and I came to know that the payment was settled as of 01 July 2015 and was returned. Please do suggest me whom to contact on this. Is it possible still to get this money. I have two UAN numbers on which KYC is completed & now ready to transfer the pf online. I am gettig msg as ” Failed to verify UAN!!! Please try again later!!! !” After entering the UAN No. . I am getting msg as ” Failed to verifyMID!!! Please try again later!!! !” I am getting this msg since last 7 days. Can you just tell me the possible reason for the msg?? Can be a temporary tech issue. Kindly submit your grievance to the EPFO online..click here..
Is your previous EPF ac maintained by a Pvt trust by your ex-employer? i am also facing same problem when tying for online transfer.My previous EPF is maintained by PVT trust.What could be possible error? Kindly read : How to link Aadhaar to EPF UAN? Offline procedure : You can contact your ex-employer and transfer the funds from your old EPF ac and new EPF ac. Thank you for the reply, my problem is when I try to upload my aadhar number it say my gender mismatch how to correct this , I am checking with my previous office it not helpful to me . Please help me how to fix this? If it is incorrect in EPF UAN then you can get it updated..click here.. If it is incorrect in Aadhaar kindly visit UIDAI website..
where in one getting update with amount the new a/c error. Kindly read : EPF partial withdrawal options & rules..
Are both the EPF accounts linked to same UAN? Suggest you to contact your ex-employer or EPFO..
I’ve updated my KYC details on both of my UAN accounts and submitted UAN transfer request via online through previous employer attestation. However the previous employer is unable to approve the request as the old UAN has Father’s name and new UAN has Husband’s name. I’ve requested them to consider the latest one which is my Husband’s name to process the transfer approval. However they are getting an error at their end while processing this request. Currently I’m not working with any organisation. Please advice the best solution in this case. May I know what is the error they are getting? Do you meant to say that you have two UANs? or two EPF accounts (Member-IDs) linked to same (one) UAN? I can’t able to get OTP while transfer funds from previous employer to current employer. Please guide me the option which I have to choose in transfer step-1 process. “Attestation through – present employer is right one?” then Member ID / UAN option – which member id I have to give? If I have entered UAN (My UAN is same for both the employer) and click “get details” in left side next I need to choose “Establishment” in that which one I need to choose its present or previous employer? I was tried to choose old employer can’t retrieve details of that and also OTP option is not working even though its enabled. (Its shows as Red circle with one cross inside). I need to transfer in online so please give me all these details clearly. Thank you. If you are getting the transfer claim processed through present employer, then attestation (submission of physical copy) needs to be done through present employer only. Present or Previous employer? – Its your choice. If so, kindly try opting for present employer as the option. In case, problem persists, you may submit your grievance to the EPFO online..click here.. Yes. Thanks for your response. I am also choose as present employer for attestation. Then Member ID / UAN option – which member id I have to give? If I have entered UAN (My UAN is same for both the employer) and click “get details” in left side next I need to choose “Establishment” in that which one I need to choose its present or previous employer? I was tried to choose old employer can’t retrieve details of that and also OTP option is not working even though its enabled. (Its shows as Red circle with one cross inside). Please guide me for the above. You need to provide/get previous EPFO a/c (member id) issued by your previous establishment. OTP error – can be a temporary tech issue. You may kindly submit your grievance to the EPFO online..click here..
Dear subin ..As far as I know, one can not stop the claim processing after submitting it. You may kindly contact the EPFO..click here.. I have two UAN number/account and for both account KYC is completed. Now I am trying to do online PF transfer from old UAN to new UAN , When i entered MID and click on ‘Get Details’ it shows error message “Details of previous account are different than present account. Hence claim request cannot be processed” also “Get OTP” option is also disabled. 1. Date of Exit is not entered by previous emplyment. Kindly note that an employee can have only one active UAN. Suggest you to transfer the funds from your old EPF account linked to old UAN to current EPF account. In this process, your old UAN will be blocked automatically. Kindly request you ex-employer to update Date of Exit. If online transfer is not possible, you may have to get it done through offline mode. This happens two time kindly help me..
Dear Vijay ..This can be a temp tech issue. You may try thru UAN member portal. Dear Mohit..it can be a temp tech issue? Are you able to submit the claim now?? In My UAN Account 2 service details are reflecting, old company and new company. While claiming on online only current company details is reflecting old company is not reflecting. Adhaar also verified in my UAN. In my old company some corrections need to be done on my father name & DOE is not updated. is this the problem the service is not reflecting. I need to withdraw my pf amount on some emrgency. Kindly suggest how can i withdraw old company pf amount which i worked almost for 5 yrs in the same company. I too faced the same problem. Request your previous employer to update DOE. Dear Leena ..Have you transferred the funds from your old EPF account to current EPF ac?? Is it possible to transfer my Tamil Nadu PF account to Bangalore EPF ?? Because my present company head office is in chennai. so PF also chennai only.. Please suggest. Do you mean to say that you have two EPF accounts? And would like to transfer the funds from old EPF ac (TN) to current one (BLR)? If so, yes you have to transfer the funds. After I am entering my UAN ..The otp botton is still not getting activated. I tried entering member id aswell but the same issue. Please help! Dear Deepti..you may contact the EPFO ..click here..
Only one transfer request against the previous member ID can be accepted. How we can transfer amount from 2nf member id through online? Dear GKR ..As of now, online provision is not available to consolidate multiple EPF accounts online. You can route the offline transfer through your ex-employer(s) by submitting form-13. Also read: How to consolidate multiple EPF accounts? I left my current company in the month of October and have withdrawn the pf from the current of Account. After withdrawing the money I have submitted the transfer form from the old employer to the current employer. The amount is transferred to the current employer. How will I withdraw this now? If you have already withdrawn the balance then what is that you have transferred?, unable to understand your query. Kindly note that, if you are employed and currently contributing to EPF scheme, you can not make full balance withdrawal. \Kindly read : EPF partial withdrawal options.. If you are currently employed and contributing to EPF scheme, you have to transfer funds from old epf to new epf account, you can not make full withdrawal. My transfer has been done in 2015 as said by HCL but I still cannot see the money in my current account. Dear Umesh ..You may kindly contact your ex-employer. I have applied for online claim request for PF transfer & PF amount was transferred successfully(both employee and employer’s share). But, Pension Contribution amount is showing zero in current employer PF passbook after transfer. However, the Previous account had certain amount being contributed to Pension. The EPS transfer amount wont get reflected in pass book. However, the service period gets carried forward in EPFO’s database. I have tried the above process but whenever i am giving the OTP and clicking Submit button it is showing ” Something went wrong. Please try again later”. Dear Sneha ..It can be a temporary tech issue. You may try submitting claim during off peak hours or through a different web-browser. I am getting the same issue for the past 6-7 months. Did it work for you? I have only one UAN number mapped to the 2 employers (Old & New). when I select Online services–>Claim, I am able to see my current company details. Why my old company not displayed in claim section. please clarify my doubt. Dear Subbu ..Did you transfer the funds from old to new epf ac? Was the funds maintained by a PVt trust (old epf ac)? My old employer has wrong updated my date of exits, Is there any way to update date of exits once already updated by employer? Dear Subbu ..I believe they can correct them. Kindly contact your ex-employer. I have checked same thing with my old employer, but they told me that they dont have permission to update 2nd time. They suggested directly check once in near by PF offices. Oh is it! I doubt on this! You may submit your grievance online, click here.. I am trying to transfer my PF account from one previous organization to current organization. while following step of transfer PF account i am getting error “Something went wrong!!! Please try again later!!!” . This error i am getting after submitting received OTP , Please help me out when this problem will get resolve when i will be able to transfer my PF account. Thank you. I have submitted online claim request for transfer and duly signed form 13 too to my previous employer, my employer is saying he accepted the claim and now the status in the online portal is showing ‘Accepted by employer, Now my question is: Is the transfer process gets done automatically or do I need to send any documents to EPF office? Also, how long it will take for the PF balance to be credited on my current PF account? Dear Krishna ..If your ex-employer has approved then no action is required from your side, it should happen automatically. Keep a track of the claim status/check passbook balance as well. Did the transfer claim go trhough? After the state “Employer Accepted” is any action required of employee/employer? Thanks for feedback; asking because my transfer claim intitiated in late Feb is in similar state. I have Two Member ID shown against my UAN No. I want to withdrawal my Old PF amount against PF No. AXXX But for Online Claim only current member ID BXXX is showing for withdraw. Dear Arun ..If you are currently contributing to EPF, you have to transfer funds from your old EPF ac to new EPF ac. 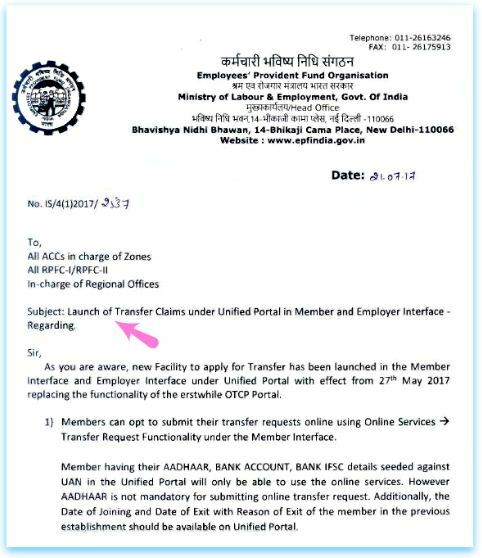 Dear Arun..If you are currently employed and contributing to EPF scheme then you have to transfer funds from old EPF ac to new EPF ac. Else, you can withdraw it online. Kindly go through this article.. I have worked with 2 companies both are trust so getting it difficult to transfer the amount while the 3rd company in which I worked was govt. Pf so can I transfer only my 3rd pf amount to my present company without transferring amount from 1st and 2nd company. Suggest you to transfer (offline) funds from all your old EPF accounts to your current EPF account. This will ensure that your old UAN gets blocked. You may also look at one Employee – one EPF facility as well. 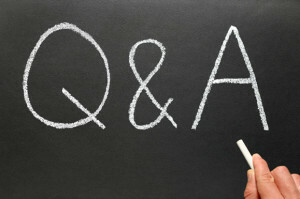 Kindly read : Two UANs allotted? How to close one UAN? What could be the possible reason behind this message. Present employer has not made payment in your PF account. I need to transfer this amount urgently, I left my last organisation two years ago. I cant find my Day of Leaving the organisation as well on the portal. Has your current employer deposited amount in EPF account? Did you join in this company recently? I need to transfer this amount urgently, I left my last organisation one year ago.Please suggest some answer. Has the current organization deposited your EPF deduction? Is your previous / current EPF managed by a Pvt trust? I do not any info regarding this. But when i am downloading my passbook, there i can see my amount . Any suggestions? Dear Tanushree ..Suggest you to submit your grievance online..click here..
Is your problem resolved ? If yes, please let me know what should I do, as I am getting same error. i do have a UAN when i worked in my Ex- company i withdraw the amount from that account & think it was closed.. Now i wish to link AAdhaar to my New UAN number which is linked to my previous UAN. i don’t know how to deactivate it. Could u please help me in sorting out this issue…. Are you currently contributing to EPF scheme? An Employee should have only one UAN. You may have to approach the EPFO through your employer and get the old UAN blocked (if no EPF ac/member IDs are linked to it). I have submitted online claim request for trasfer and physically form 13 too to my previous employer, my employer is saying he accepted the claim and now the status in the online portal is showing accepted by field officer, Now my question is do i need to wait for more days or any other step need to be required please help. Dear Karan..That’s it form your side! Keep a track of your claim status. Thanks for your reply but i am asking diffrent qurstion, my question is how much it will take now because the status is showing accepted by field officer. So in how many days it will be merge with my current organisation account. Dear Karan..Should be done within 2-3 weeks max! Keep a track of it! How to Change nominee details in unified portal & we are not able to view nominee details in unified portal. Dear Savitha ..You need to contact your employer for this! I have two UAN numbers , My name is different in past and current UAN database. 1)Is it possible to transfer PF online if names are different? If not, how to proceed for online transfer? 2)Is it possible to correct names in old pf account? I believe that if there are any mis-matches, online transfer may not happen. You may do it offline! Kindly read : EPF UAN name correction – new online procedure! I have initiated PF online claim transfer through EPFO portal, where I have mistakenly provided my current employer’s PF number wrongly. could you let me know how can I cancel my claim. Mostly the transfer may not go through. You may re-submit the claim again. Kindly read : Auto EPF a/c transfer.. I would like to withdraw my entire amount from my EPF account. I have left the organisation 2016. My Aadhar, pan card and other important document is also updated in portal. Now when i am clicking online claim , page is opening online claim and the options and when i click on that option , only pf advance withdraw is only showing and reason for pf partial withdrawal is only showing. suggest how can i withdraw my entire amount as i have already left the organisation. My date of Joining is updated on the Epf portal. But my date of exit is not updated. My wife is not currently working. How do I request to online transfer to her Bank? All her KYC s are approved like Bank , Aadhar etc. Please let me know what is the process and if it is offline/online , do you know how it can be done. Thank You Man, you are doing a great job. How to withdraw EPF online through EPF member portal? How to submit EPF claim through govt’s UMANG MOBILE APP? How to withdraw EPF offline through Composite forms? When I submit my OTP, it shows error “Form Parameters Tampered”, everything else is correct. I can see my past and present employer details and also my past employer filled date of exit. Please help me out to resolve this issue. Dear Subhadeep..i am not sure on this, can be a temporary tech issue. You may contact the epfo..click here.. Thank you Sir, for quick reply. Need another clarification, when I open my PF passbook, i am able to see 2 accounts, one for previous employer and another for present employer. But when I open previous employer passbook it shows below content. “Passbook not available to this Member-id as this pertain to exempt establishment (i.e. Trust). Requested to contact your employer”. But i can see present employer passbook properly. What is that content mean? I am not able to transfer Pf online with present employer attested for this issue? Online EPF transfer can not be done from a EPF maintained by a Private Trust to EPF a/c maintained by the EPFO. You need to contact your ex-employer and submit offline request for transfer of funds from your previous EPF account to current EPF ac. is it resolved for you? Suggest you to submit offline transfer claim form. I have resigned my previous employer in March 2016 and joined new firm and got UAN generated in new company. I tried to transfer my PF through my present employer but no response by epfo. I have send physical form 13 through my present employer but no response from EPFO office. My bank details are not updated in UAN account its pending form employer. In above case what should I do to transfer my PF. Can I withdrawal PF without previous employer sign. Do you have two UANs? Suggest you to try transferring the funds through online mode. Kindly get kyc details approved by your employer. Are you trying to Transfer the EPF funds or withdraw? Do you find any EPF account(s) linked to your UAN? Did you contribute to EPF through a private trust in your previous job?? You may also try transferring the funds through offline mode. I have raised an online fund transfer request, it is showing status as ” accepted by files office” and can see printable form 13 with the details. do I have to perform any action here like submitting that form 13 hard copy to present employer or everything will be taken care automatically only. As per the procedure, you are required to submit the signed copy of the online PF transfer claim (PDF document) to the selected employer (for approval) within a period of 10 days. You may kindly check about this requirement with your employers. When I try to fetch attestation details using ‘present’ or even ‘previous’ employer using UAN; it do not give any error but at the same time fetches nothing. Is anyone experienced same? If yes, please help me out. 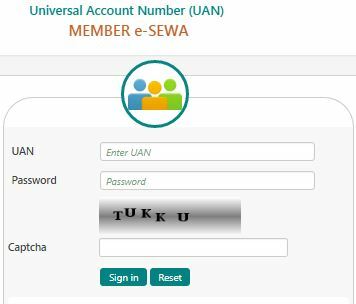 I have multiple UAN numbers Issue.I have claimed all the PF amounts from my old UAN number.Now new company have also issued new UAN number with new PF account number.Old UAN number is linked with KYC adhaad card which is active however when I am trying to activate New UAN number I am unable to do that at my end.Please suggest now I am joining new company so can I give them old or New UAN number.I am thinking of providing them new UAN number as one pf account is still with new UAN number. If you are joining a new company, you can give old UAN number only, an employee can have only one UAN. You can get the new EPF a/c (at new company) linked to old UAN. Once the contributions go into this ac, you can transfer your funds from current EPF a/c to new EPF ac. Kindly check this with your employer(s) as well. Related article : How to consolidate old EPF accounts? Membership ID is generated by the employer(s). You can just give old EPF ac number and transfer it to your current EPF ac. Are you receiving any error message? You can take help of your current employer as well (for offline transfer request). when i am selecting previous employer and clicking on Get details after entering UAN number, I am getting below Error. Kindly suggest what should i do in this case. Dear Pratik..Has the old EPF account been linked to same UAN? Yes, also in the EPFO website its showing my both organisation name. Dear Pratik..I am not sure about this! Is your old EPF ac maintained by a Trust? If yes, suggest you to do the transfer offline, you may contact your previous employer. Else, suggest you to kindly submit your grievance to the EPFO online..click here.. Thanks Do you know how would i got to know that my previous organisation PF ac maintained by a Trust.! Dear Pratik..You may check this with your ex-employer. I tried to initiate transfer by using my new/current UAN. But I got theses errors at the end of page. Father or husband name is missing. I understand the first two issues and will update them through my employer BUT the third was a shock to me. I then inquired with my current employer and got below response. Please advise if this is the correct answer OR I should ask counter questions. NOTE: I can see the PF balance in my current epf acc (for which I am getting error ) in my member passbook when I login using new/current UAN. Which might proofs that my employer is submitting PF. Kindly read : How to check online if your Company has deposited EPF dues? yes they mean I’m not eligible because I am deputed at onsite and they have deposited in epf acc by the time I was working in India. And I think the process is changed from what’s described in above link, please review. I have raised the concern with employer and they asked for screenshot. The issue is because of this error ‘Select details of previous account’ under Transfer Request is not appearing in my UAN portal and I can’t merge two UAN. Thank you, I just realized that the online procedure to check’EPF dues’ has been changed. One can check the ‘establishment search’ at new link.. I believe that once you get the first tow issues sorted out, you will be able to transfer the funds form old EPF a/c to new EPF a/c, an employee should have only one active UAN. I have observed that few of my blog readers have transferred the funds from old EPF ac to new EPF ac (in which no contributions have been not happening, left the service). Kindly update us the status, the info will be useful to all of us, thanks! The first two issue got sorted out but it’s still giving me same 3rd issue (Present employer has not made payment in your PF account.) Everything is find now, don’t know why it’s there. Old UAN has full up to date details, new UAN also has all the details, epf passbook is showing fund deposit till the time I was in India but still this issue. I am completely blank on what to approach to next to resolve this issue. You may kindly check with your employer, if it is possible to link your new EPF a/c to old UAN itself and this can trigger auto-transfer. In order to make PF account transfer , I couldn’t able to find any of the tab ‘Select details of previous account’ under Transfer Request page in EPFO page. But all my Bank,PAN, Aadhar and service history has been updated correctly Kindly help me to transfer my pf account. Also I have tried to register grievance, which is not able to submit.Please help me on this. Dear Niranjani..Kindly check if your Date of Exit has been updated by your ex-employer?? Related article : online EPF claims – Procesflow. Yeah SreeKanth, My portal has been updated with DOE for ex-employer. Still I couldn’t find the relevant tab for Transfer Request . Please help me on this. Dear Niranjani..Even I am not sure on this! Is the UAN same for both EPF accounts? Yeah both the EPF accounts points the same UAN Number. Hi, I have initiated one online transfer claim, where can I get the form (online) to be submitted to the employer. Dear Aman..Has n’t the file been generated as soon as you submit the transfer claim?? No, it just said that the request has been submitted. is there anyway we can get the same again? Dear Aman..I am not sure if they have done away with submitting the physical copy..if possible, kindly check with your current/ex-employer on this?? Do update it here, can be useful to all of us, thanks!. Employer is asking for the signed hard copy but the truth is that nothing generated while I submitted the claim.. Suggest you to kindly submit your grievance online the EPFO on this matter..click here..
now after almost two week i can see form -13 available in the section “Track Claim Status”. Facing the same problem: OTP Verification failed..
OTP Verification failed..Pleae help on this..
Hi, even i have same OTP issue while submitting transfer request. I have received OTP to my reg mobile number, even after entering a valid OTP it pop’up saying OTP verification. At final stage after taking print out and we need to send hard copy to previous employer. In case they did not act on this what will be the result ? shall I get my PF automatically to my present PF account ? When i am enetring otp getting verification failed where as i am putting correct otp. When i am entering otp getting verification failed whereas i am putting correct otp. Dear Sibaram..May be temporary tech issue, you may try after sometime, or through a different web browser.. Facing same problem of OTP verification failed since two days. Dear mitz ..Can be a temporary tech issue.. Submit your grievance online..click here.. I am getting the same error. Have you been able to overcome this issue. Please suggest. I am unable to to transfer amount from my previous employer to current one. During transfer it is showing “Details of previous account are different than present account. Hence claim request cannot be processed”. I am attaching here screen shot of the error, kindly suggest for the same. Dear Munna.. Your personal details between the two account may not matching, example can be your name in both the accounts. You may get them rectified or can try offline transfer request. Dear Sir, my name is same in both the account. Is there any issue with mobile no as I have changed in new account. Kindly suggest the same. Dear Munna.. Details can be your Date of birth, gender etc., you may cross-check. Mobile should not be of any issue. You may take help of your current employer in this regard. Check if DOE and Reason for exit updated in your old pf account by previous employer. Hello – I have submitted online PF transfer through UAN self service portal. My present employer has also authorized it online and the status now read “Employer Accepted”. How long usually it takes to transfer to finish. Is Aadhaar seeding mandatory for transfers? As my Aadhar in KYC is showing still pending. Dear Ravi..Seeding of Aadhaar is optional for online EPF Transfer Claims. I was working with company A, Due to sudden death of manager the company A provided salary but not shared(employee and employers both) epf and eps since December to March 2017. So i join to a new company B after 4 months and with company B i am working from April to till now. Initialy My UAN number created in company A and I had an epf account. But now company B provide a new epf account and create a new UAN which is running. Now I want to transfer amount from company A to company B..please help me,how to transfer sir? 1) May I transfer pf amount from Company A to company B’s epf account which is related to B’s UAN ? 3) among 2 and 3 which procedure will be better? 4) In online epf amount transfer, are there any roll of previous employer and/or current employer? 1 – This procedure is correct. If you transfer funds from Co A to Co B, your Co A UAN will get deactivated automatically. 4 – Yes, your employer has to approve the claim. Which one should be done? should be followed On Changing Job? New EPF Composite Declaration Form-11 for automatic EPF Transfer on change of Job! Request to please revert back ASAP. On change of job, if new Org also provides EPF scheme then new Composite Declaration form (F11) has to be used with effective from Sep 2017. In case, your Aadhaar has not been seeded then Form 13 can be used to transfer the PF funds offline. I am uploading KYC details like Bank, Adhar and License but SQL error is displaying so please can you guide me for next procedure. Also I want to transfer my two epf accounts to the present EPF account is it possible? Suggest you to try submitting through a different web browser during off peak time. I am trying to submit PF transfer form online using the above process, but GET OTP is disabled in step 2. I have updated aadhar number and KYC is approved under KYC Tab, also no error got displayed on the form. Dear SM… May be a technical issue. Are the pre-requisites as mentioned in the above article have been met? You may also consider for an offline Transfer request through new Form 11 through current employer (or) through Form 13 via ex-employer. Thanks for the response. As per above prerequisite, DOE and exit reason is not mentioned on the Unified portal so could it be one of the reasons for OTP disabled? If yes then how it can get it updated. Dear SM.. You need to request your ex-employer to update the DoE details. I was working with company A, i left that company in NOV 2016 then i joint new company B after 5 month and with company B i am working from 4 month.My UAN number created in company A and with UAN number is working in company B. But their are two account in company A and company B,uner same UAN and i want to transfer amount from company A to company B..please help me,how to transfer sir? Dear Krunal ..Have you gone through the points given in the above article?? Dear Prakash..Did you check your claim status online? I have checked the claim status which shows Claim record not found and this is the second time i have sent the registered post. Secondly DOE is empty and Fathers name is blank. You may request your ex-employer to update Date of Exit and Father’s name in database. After which, you may be able to find the online withdrawal options. Kindly read : EPF online withdrawal process flow..
First of all thank you for help, I already asked you question in same forum. 3rd account linked to new UAN which is Active. 1.By above mentioned process is it possible to merged my 1st,2nd account to 3rd active account/UAN? 2.Also Can i transfer pf amount in this case ? 3 – For name correction, you need to submit a joint declaration along with your employer to the EPFO (contact your employer, they will assist you), no time-line has been defined, but may take 2 to 4 weeks I guess.. I was working with company A , its shut down in AUG 2016.Then i joined company B and i worked there for 2 months.After that joined new company C they created new UAN number. Can you please help me out how can i transfer the amount from company A to B to C , A & B has same UAN but not transferred A to B.
Kindly read : How to consolidate multiple old EPF accounts? 1) I want to transfer my pf amount from ex-employer TCS which holds a trust account. Can I follow the above procedure or is there any other way to transfer from trust account. 2) My bank IFSC is wrongly updated, in-spite of multiple requests its not updated by my employer. Does wrong IFSC code affect in any sense for PF Transfer. 1 – I think the process should be the same. 2 – Yes, it will affect. Is your current employer not supportive? I resigned from my previous company 2 months back.. Currently I am not working and will join my new company by this month end. That is the reason I spoke to my ex-employer. i am trying to transfer my earlier PF account money to my new PF account however it gives an error saying ” previous account details are not same as current ” .. unable to get this through .. any pointers ? Dear Dhwani…Mostly your personal details associated with old EPF a/c might not be matching with your new/current EPF account. Kindly cross-check. but not message and more informations in my profile ……………. sir/madam please help me ……. Dear suryasree .. If the EPFO has received your application, they will process it within 10 to 14 days. Dear Yuvaraj ..as far as I know, the time-line is around 10 days (max) for online claims..
TO receive my pf amount i have applied through epfo portal and now it says claim settled after 30 days. but i have not received in my account. can u please help me what is the next step. Im not working anywhere now. Dear bhuvana ..You may receive the amount to your bank account in 2-3 days. 1.How to proceed if I have two UAN? 2.I logged in on portal with current UAN, but unable to complete KYC as details are mismatch with PAN/ADHAAR details. Is KYC is compulsory? 3.Current UAN –> ‘Service History’ shows only Current employer details , how shall i proceed for pf transfer from previous PF/UAN account? Yes, KYC details are mandatory and they need to be verified by your employer. You also need to verify/link aadhaar number. If you can not submit online transfer claim, you may do the transfer offline and during the process, your old UAN will get deactivated. Kindly read : How to block multiple UANs? Recently, EPFO has given option for higher pension. The pension payable under EPS has been capped to a salary of Rs15,000 since 2014. Prior to 2014, it was Rs6,500. So under the old salary limit, the pension comes to around Rs3500 and a little over Rs7000 under the new ceiling. The supreme court order gives scope for an employee to get pension according to a higher salary. In case the employer begins contributing on higher salary from the day the employee’s pay surpasses upper limit of Rs6,500, even pension has to be paid as per actual pay. Kindly enlighten us by writing an article on “Higher Pension” if you are aware of it. Is it beneficial to opt for higher pension option or not.? Yes, I think sometime back, I too have read about this topic in news reports. If an youngster is planning for retirement then I believe that he/she has to think beyond PF, to accumulate desired Retirement corpus. You mean to say that I should not opt for Higher pension option. Keep money in EPF account instead of diverting it to EPS.? Pls clarify. You may consider other investment options (if for long term) that can beat inflation and give you good real rate of return. What is real rate of return? I will definitely invest for long term as per your suggestion. Already taken Term Plan, Accidental Policy, started ELSS, surrendered traditional policies as per your valuable suggestions and posts. But the thing here is, I am in PSU (Public Sector Unit) where EPF Deduction is little high compared to private employees due to Basic plus DA. Other incentives are very low for us. We have no choice to get rid of EPF deduction. Employer share will also be added to this as you know. Previously, 8.33% of Rs.15,000/- i.e. Rs.1,250/- (fixed) used to be deducted from the employer share and corresponding Pension was Rs.7,000/-. Remaining share of employer will be added EPF. If the “Basic + DA” is Rs.50,000/- then 12% (Rs.6,000/-) will be deducted from our salary. Employer will add Rs.1,250/- to EPS (Pension) and Rs.4,750/- to EPF which can be withdrawn anytime under some rules. With recent order from Supreme Court, we can give the option to deduct 8.33% of whole “Basic + DA” and remaining share of employer will be added to EPF. If “Basic + DA” is Rs.50,000/- then 12% (Rs.6,000/-) will be deducted from our salary. Employer will deduct 8.33% of “Basic + DA” i.e. Rs.4,165/- (mostly vary quarterly) to EPS (Pension) and remaining Rs.1,835/- to EPF. We have to either opt for either Higher Pension or simply not to opt. In this regard, kindly suggest which would be a better option among both the options. As suggested in my previous comments, you may contribute the minimum required amount to EPF/EPS, and try to invest in other investment avenues which can beat inflation rate over longer period. Could you suggest me any possible work around for this ? Dear Rakhi ..May be a tech issue..kindly try after sometime or submit grievance online..click here.. I am also getting the same error. When I put the OTP, it shows me , something went wrong error. How to get rid of this? Dear Subrat.. You may kindly submit online grievance..click here..
As suggested, I have tried to submit grievance, however, the grievance itself is not getting submitted. Please help. What should I do now, I do not understand how to proceed? Can you please let me know? Dear LAKSHMI.. Even few other blog readers have raised this concern..looks like a tech issue. You may submit your grievance online to the EPFO..click here.. I can see my previous employer and current employer pf account detail in ‘Service History’ menu item. But when I tried to raise PF Transfer Request, by selecting Attestation Employer as ‘Present Employer’ and I entered my previous employers member id, it gives me error like ‘Invalid Present Member Id’. When I enter UAN number, it gives error like ‘Previous employer detail not found for this UAN number’. Dear Meeta ..Are the two Member-IDs linked to same UAN? Or Have you been allotted with two UANs? When I try to do it via online after entering OTP, I get an error that “something went wrong!!! Please try again later!!!. I tried few times but no luck. I am not sure what went wrong. Do you have any idea how to resolve this? Yes. I have given for offline transfer to do. It’s because my previous employer PF was Trust and current employer is EPF. We can not transfer between Trust & EPF managed PF via online. Please check with your current employer for an offline transfer. Thanks Tarun for your answer. Now i understand. My previous employer PF is also with Trust. Here which UAN you are talking about? Is it one which Old employer has provided me or is it the new one which is provided by my new Employer. To transfer PF online through which UAN(OLD or NEW) I should login and follow the above steps ? Kindly help me out to complete this process as I am struggling with it from past 6 months. An employee should have only one active UAN. You may login with your new UAN and submit the transfer request, during the process the EPFO will deactivate your old UAN (if any). Read : Two UANs allotted? How to blog old UAN? Thanks for your kind reply, it’s really very helpful post. Still I have some questions. It will be better if you give reply for it. As other than this blog there is no information on internet for latest portal. Should I have to activate my new UAN first and then follow the above steps as there in your blog? Also should I have to inform my previous organization to put date of exit in portal? If you have not been given new UAN then you may use old UAN only. In case your new employer has allotted you a new UAN, then you may login with that and then submit transfer request. Yes, you need to request your ex-employer to update DoE . I have the same issue. KYC for both UAN is done. Both PF accounts are with epfo. when submitting transfer claim, it is shows error “Something went wrong!!! Please try again later!!!”. I am trying since last 1 month but every time i see same error. I have also submitted to grievance but they don’t even bother to reply. Please suggest. Dear Ravindra ..I am not sure what could be the reason! Whether your personal details in both EPF accounts match? You may check with your current employer also. Can try for offline transfer. Read : Auto EPF transfer on change of job! My Name matches with the previous and present employer, but , DOJ and DOE is not available for my previous employer , I am not able to initiate transfer , getting error message , Previous and present details does not match, how to proceeed further. Dear Bala..You may have to kindly contact your ex-employer..
Will you please let me know the formalities for correction of name e.g. My full name is” PRADEEP KUMAR ANWAR” , but in the PF Account it is” PRADEEP KUMAR”..
You need to submit name change request to your employer, they will then forward it to the EFPO. You may kindly go through this circular..
could you please guide me in filling register grievance in EPF portal as guided in other blog page of yours? Should I upload any PDF out right there? When I try this, the website says old and new PF details are not matching. There is no additional info. How to proceed from this point? Dear Raju..Mostly, your personal details (like name, DoB etc) might not be matching between old EPF account and new one. You may get them edited through your current employer. I have the old EPF number while working some where around 2007, I failed to claim EPF from my previous employer due to critical illness. Could you guide me in getting universal account number? Should I approach my previous employer for generation of UAN? Dear Mahesh ..Are you currently working and contributing to EPF scheme? Your old EPF account would have become inopeartive..You may try using Inoperative EPF a/c helpdesk and transfer to your new EPF account (if any). You may also try doing the transfer online as suggested in the above article. Dear Sri, Not EPF as these days NPS has been contributed. I tried with the help desk, but couldn’t succeed. I am not getting any reference number even after several attempts. Is there any other way out? help please. You have mentioned about addressing to grievance cell, should I include any PDF? My previous employer will help me though in fetching yet they need the proper direction. Hence guide please. You may submit your grievance to the EPF online..click here..
And your employer may have the required details right?? You may submit offline withdrawal form through them. Dear Mahesh ..You may submit new Composite Claim Form.. When i am trying to submit the request online after entering OTP, it says perameter form tempered. Dear Adesh ..Can be a temporary tech issue, kindly try again! Else, you may submit grievance to the EPFO online..click here..